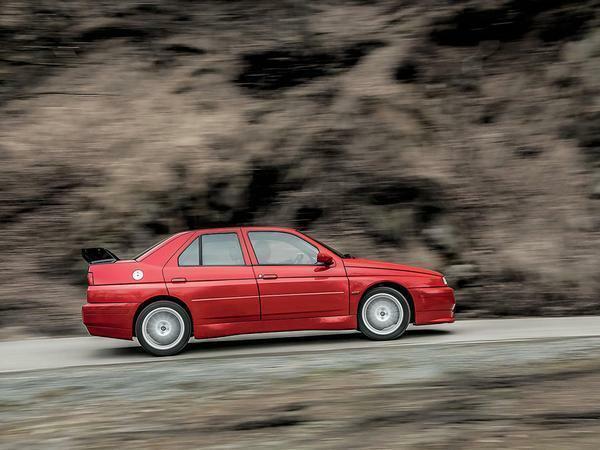 The Alfa Romeo 155 was, of course, one of the most successful racing cars ever built. It dominated across Europe, winning touring car championships in Spain, Italy, Britain and Germany between 1992 and '94. Naturally Alfa wanted to capitalise on this prowess, and to do so it decided to build this: the 155 GTA Stradale. Much like today's Giulia Quadrifoglio it was designed to take on established rivals from BMW and Mercedes. This was easier said than done, though, and so the responsibility for translating Alfa's ability from the track to the street fell to Sergio Limone. A legendary engineer, Limone had worked for Abarth since 1972, finding fame for his role in the creation of the Lancia 037 and Delta S4. 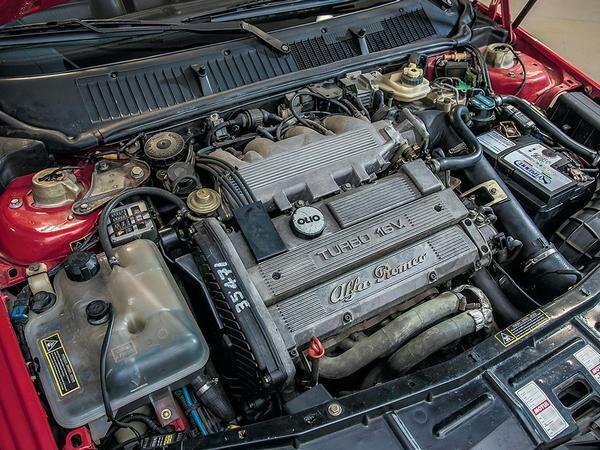 With the 155 Q4 chosen as a platform for Alfa's project using the same engine and mechanicals as the Delta Integrale, he was the perfect man for the job. 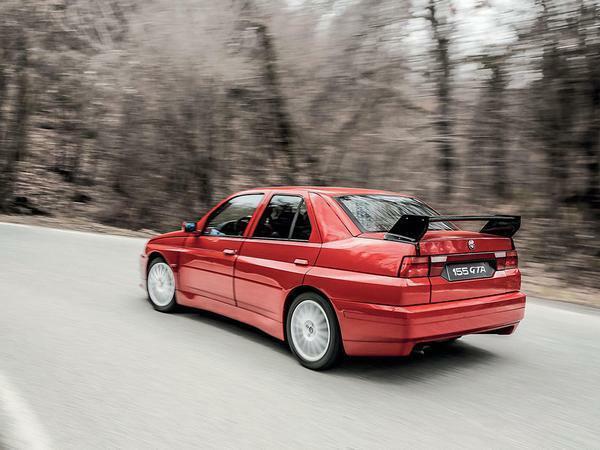 Suspension also based on the Integrale's was added, as was a motorsport-derived aero kit consisting of flared arches, new front and rear bumpers and a gigantic spoiler, while the rear differential casing was cast in iron rather than aluminum to shift the weight bias further to the rear. 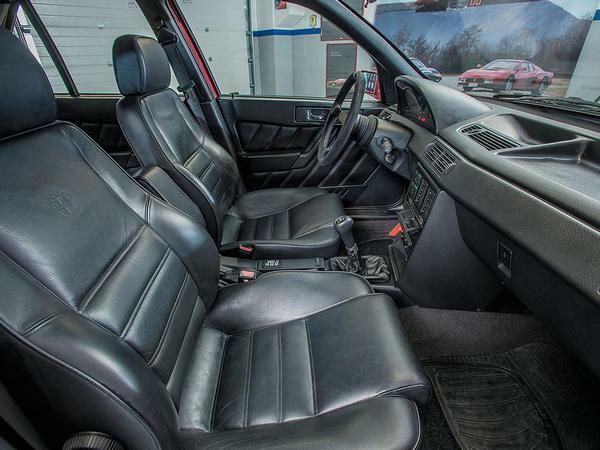 Inside, the cabin was trimmed in black leather and fitted with body-hugging sports seats to enhance the car's racy feel. Despite being tuned to 190hp, it was decided that the turbocharged 2.0-litre four-cylinder engine was not able to produce enough power. A more powerful V6, derived from the motor used by the 155s that raced in the DTM, may have been the solution, but couldn't be made to work with the Delta drivetrain, and wouldn't fit inside the engine bay alongside the suspension. With costs spiraling and the board's interest in the project waning, Fiat decided to pull the plug. The GTA Stradale did see the light of day on one occasion, however, acting as Dr Sid Watkins' medical car for the 1994 Italian Grand Prix, before being sold to former Italian Rally Champion Tony Fassina and into the hands of several private owners since. Described as "a missed opportunity" for Alfa by Limone, the one-off machine is set to go under the hammer at Bonham's Padua auction later this month with an estimated price of €200,000. With just 25,000 miles on the odometer, it's described as being in good order throughout and in 'highly original' condition - with the notable exception of a new rear spoiler - and even comes with a letter from Sergio Limone to Tony Fassina confirming its originality. 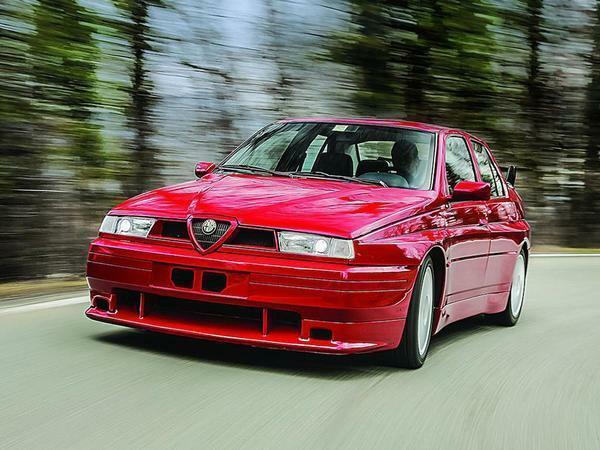 £175,000 may be a pretty penny for an old 155, but thanks to its incredible rarity and unique connection to Alfa's racing heritage, there are sure to be more than a handful of collectors out to ensure that its auction doesn't turn into a missed opportunity for them. I like it but then I'm Italian car mad. Saying that, I think it was Performance Car mag (may have been another publication) which said that the 155Q4 was awful handling and were surprised that Alfa were given the Integrale as a base car and got it very wrong. Then again, other magazines heaped praise on it so maybe I was dreaming!!! Strange how the 'A' in GTA stands for alleggerita but they used heavier components to shift the weight bias.